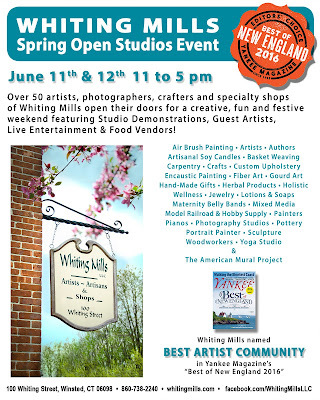 This weekend welcomes the Spring Open Studios at Whiting Mills in sunny Winsted, Connecticut... of which the first day coincides with Connecticut's Open House Day. So it will be busy weekend at the studio for me and the many other creative and inspired folk with whom this historical space is shared. 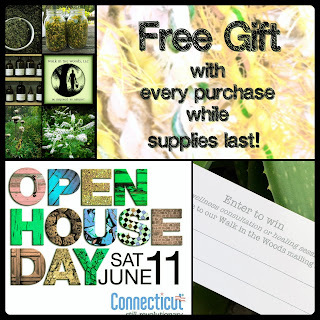 I have free gifts with Saturday purchases and giveaways going on both days, so if you're anywhere near the northwest hills of Connecticut this weekend, be sure to stop by Whiting Mills studio 310 a visit! With that... there's preparations to get to... gotta run! Peace. If I lived closer you could bet I'd be there :) AS is I'll settle for a new farmers market on Sat. Hope your weekend is successful ! Sounds great, Carol ~ the farmers' market ~ enJOY it! I LoVe our regional farmers' markets. And farmers. And yeah, I know you'd stop in for a cuppa and some creative banter! It sounds like a wonderful weekend event! Wishing you a great time and success.